Flash My Brain - Achieve more in science through flash cards. 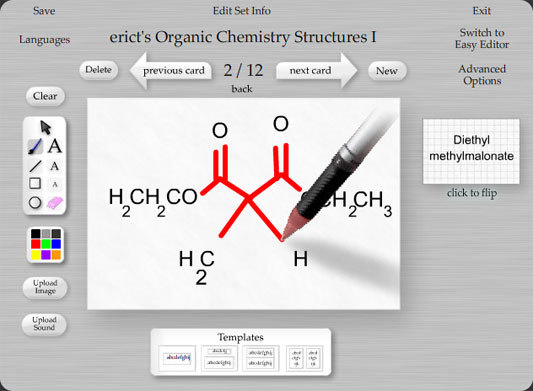 Achieve more in science with Flash My Brain flash cards. or print from the 1000s in the library. 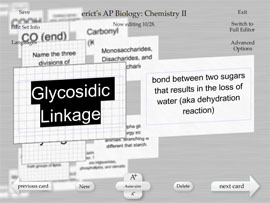 Flash My Brain is a great tool for making useful science flash cards and studying science. Above you can see the graphical editor. 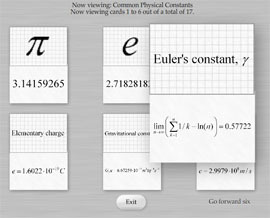 At the left is the rapid text flash card creator -- you can see more about both at the video tour or on this page. 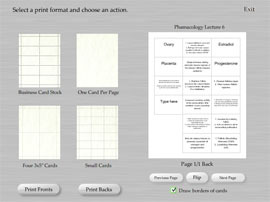 Print out beautiful flash cards using the print interface shown at the left. 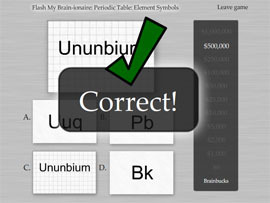 When you buy Flash My Brain, you can look forward to selecting and printing exactly the science flash cards you need. Flash My Brain has an extensive flash card learning module including games and a natural review interface. With Flash My Brain, you can learn online: at home, at school, or at work. Buy Flash My Brain for $29.95 and start studying science flash cards the Flash My Brain way. Games that help you learn; editors to help you create; a great print function and an environment that encourages personal expression - this is Flash My Brain!